Dr. Gwen Iacona is an applied conservation scientist who uses quantitative and empirical approaches to understand how biodiversity outcomes can be improved by better decision making. Her current work aims to improve endangered species recovery by better understanding the risks and costs associated with recovery planning. Gwen specializes in using theoretical tools to study how the costs of conservation interventions influence the choice of actions and the resulting outcomes for conservation agencies. Past projects include predicting invasive plant cover, modelling protected area effectiveness, and prioritizing conservation action. Gwen currently is a post-doctoral research fellow at the Center for Biodiversity Outcomes at Arizona State University where she is working with Professor Leah Gerber. She has a PhD from the University of Tennessee, where she studied with Professor Paul Armsworth, and an MS from the University of Florida. 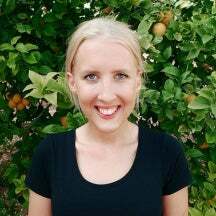 Krista Kemppinen is an ASU-CI postdoctoral fellow working on the role of nature in achieving the UN’s Sustainable Development Goals (SDGs). Her research articulates and quantifies the degree of dependence of the SDGs and associated targets on natural capital, and investigates the trade-offs between individual goals and targets. Through this research, Kemppinen aims to inform national and global scale policy interventions. Prior to coming to ASU, Kemppinen was a PhD candidate, and before this an undergraduate student, at the University of Cambridge. The focus of her PhD thesis was to investigate the causes of past atmospheric CO2 fluctuations by designing and executing Earth System Model experiments on the Cambridge HPC Cluster, conducting statistical analyses of the model outputs, evaluating these against observations, and building computationally cheap model surrogates. For her Bachelor’s, Kemppinen specialised in the environmental science disciplines as well as conservation and sustainable development. 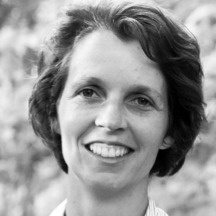 Kemppinen has worked in different countries and sectors, including: the Indian Himalayas, where she looked at the impact of measures introduced to reduce water scarcity and achieve energy security; Southern Italy, where she investigated volcanic aerosol emissions; and the Finnish Meteorological Institute in Helsinki, where she worked on ocean methane emissions. Kemppinen has native proficiency in English, French, Spanish and Finnish. In her spare time, Kemppinen is a Carbon Pricing Evaluation Support Fellow for MIT’s Climate CoLab. She is also passionate about science communication and facilitating the exchange of scientific information. Organisations she has previously volunteered with include the Cambridge Climate and Sustainability Forum, the Wolfson Research Event and a new UK-based social networking start up aiming to advance scientific collaborations.